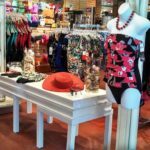 Island Paws is Where your Pet Would Choose to Shop! 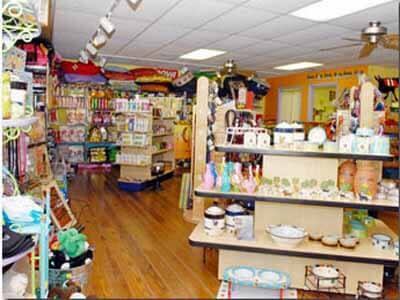 If your pet could talk, it would certainly let you know that its favorite store on Sanibel Island is Island Paws. Stocked to bursting with pet products and supplies, it covers every aspect of treats, gifts and everyday items that every self-respecting pooch or kitten needs. However, you don’t need to have four legs to enjoy a look around. 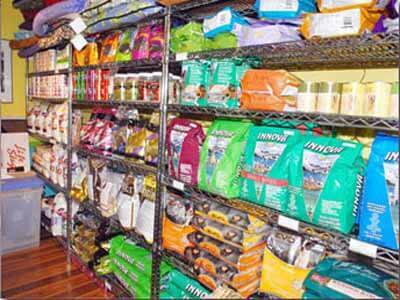 Pet owners are sure to be impressed by the range of nutritional pet food that is stocked at Island Paws. 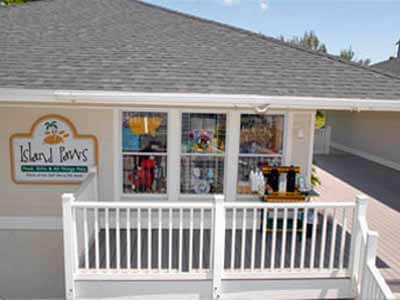 Open daily from 9am to 4pm, and 9am to 3pm on Sundays, this delightful Pet Boutique can be found on Tarpon Bay Road in the Olde Sanibel Shoppes on Sanibel Island. The store was the brainchild of two girls – Trasi and Liza, egged on by their four-legged friends, Jewels, Cassie and Kinsale. They simply wanted to share their philosophy and love of pets as members of the family. The store opened in 2004 and has been providing natural foods, pet supplies and a range of gorgeous gifts for like-minded owners and their pets. The store specializes in a range of natural pet food lines including products by Acana, Blue Buffalo, Canidae, Merrick, Natural Planet Organics, Nature’s Variety, Orijen, Solid Gold and Taste of the Wild. Whether you own a calico cat or a cockerpoo you will find everything you need, along with advice and helpful friendly service at Island Paws. The staff are passionate about animals and are happy to provide customers with information to promote the health and longevity of their much-loved pets. 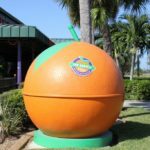 Residents on Sanibel have already found Island Paws is a godsend when needing pet food, saving them the long journey over the bridge to the mainland. What’s more, Island Paws keeps their prices competitive to keep regulars coming back for more. 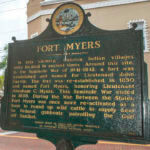 Visitors to Sanibel Island do not have to carry enough pet food to last their dog or cat through the vacation. They will find a wide range of top brands of pet food (and so much more!) at this friendly local store. As well as dried pet food, they also carry a small range of fresh pet food, so you don’t have to leave the island to get everything you need for your dog or cat. 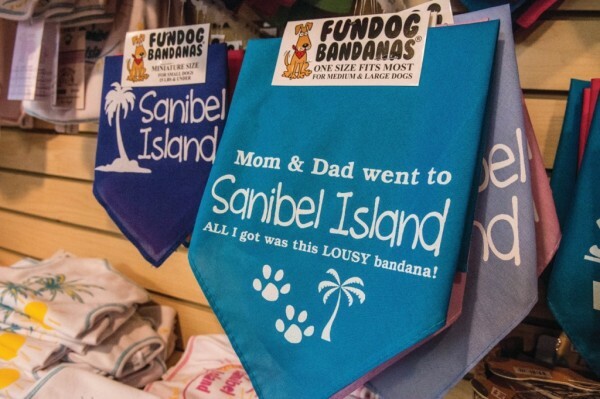 What makes Island Paws so much fun to browse is that they always have new items and souvenir gifts to treat your pet, or another pet owner, perhaps. 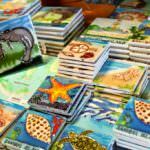 If you are looking for a new food dish, cute pet clothing or a new toy to amuse your pet and show how much they mean to you, Island Paws is the best place to find them. They have a good range of down-to-earth essentials and novelty items such as photo frames all beautifully displayed in light, bright premises. With so much on offer, combined with great service from genuine pet lovers, you can see why your pet would definitely choose to shop at Island Paws, given the chance. 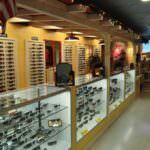 Sanibel Sunglass Company is a Clear Winner!